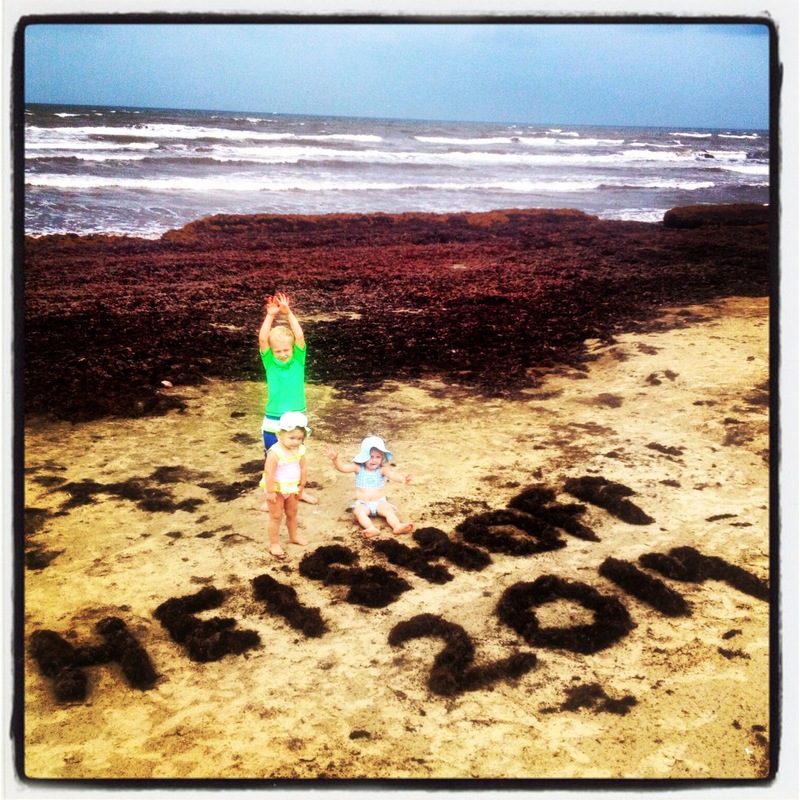 This year we took our 2nd annual Texas beach vacation with our neighbors, dubbing our trip “Heishoff 2014,” as a combination of our names. 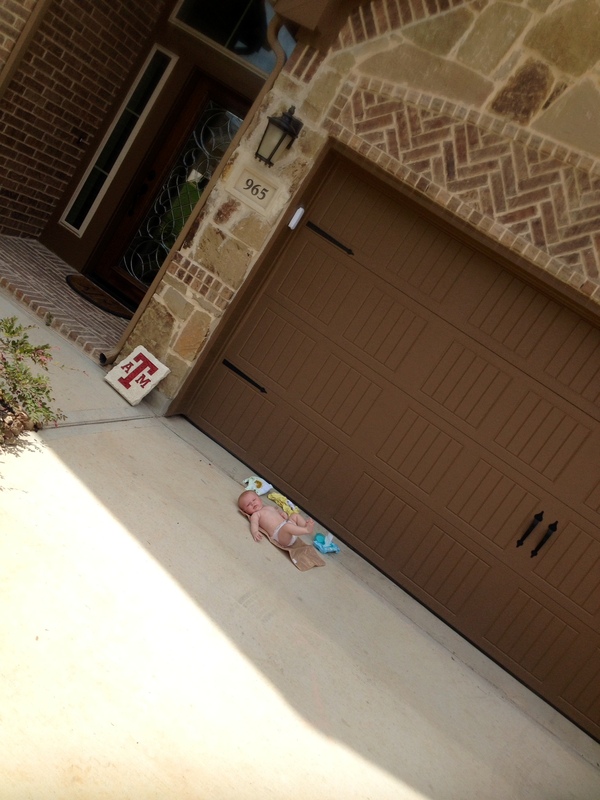 Our adventure started off with a bang – literally – when Rex blew it up, requiring a pit stop diaper and outfit change in the driveway of a friend’s house as we were heading out of town. I sat squashed between two car seats in the back of Scott’s truck to entertain the kids for 3 hours (that was a real fun experience). First we stopped in Houston for two nights to see my mom and get her set up to watch Rex while we took Landri to Galveston (huge shout out to Mimi!). While we were in Houston, we went to the Children’s Museum which we highly, highly recommend. It is amazing. You can seriously spend all day there, and for $9/person, it’s a BARGAIN. I’ll include some pics at the end of my post – Landri had an absolute blast. Overall, the beach excursion was totally awesome. We found a great little cottage right on the sand which was perfect. The only downsides were 1) massive amounts of seaweed, and 2) loads of rainy weather. We were able to sneak in some beach time though, and happily spent the rainy days building forts inside, utilizing the magic of the iPad (super cute video here: http://youtu.be/H5CM77g2mmM), going to the aquarium, and relaxing in the hammock. Also, just an interesting note… you know how they always say that women who live together end up eventually in sync as far as their cycles go? Well, if you’re female and a toddler, and don’t have a cycle yet, you sync your poops instead, LOL! I’m not kidding. Landri and Camille synced their poops the last three days in a row!!! They took to squatting in separate corners in the same room every time! Don’t ever judge a book by it’s cover. This may look like a delicious meal, but don’t let that fool you. This is one of the most toxic and deadly meals on the planet. Synced poops may be interesting (and disgusting), but hands down the most story-worthy part of the trip was what I have decided to call Spicegate 2014, or Death by Spice. For those of you who know Scott Lehnhoff, this should not surprise you in the least. In summary, Scott didn’t read the directions on the crab boil seasoning mix and put not 10, not 20, not 100, not 200, but 454 servings of the spice mix into the boil pot. It was so deadly, that entire cottage instantly became engulfed with it (yes, sadly he cooked inside). You know how your mouth burns when you eat something spicy? Well, this was the equivalent of breathing it. Our throats, noses, eyes, and lungs burned as if we had been set on fire from the inside out. We were all (kids included) coughing, sneezing and suffering immensely. It was really, really bad and we (everyone but Scott, of course) were afraid that we were probably going to die or at the very least be hospitalized from spice inhalation. The best part though? 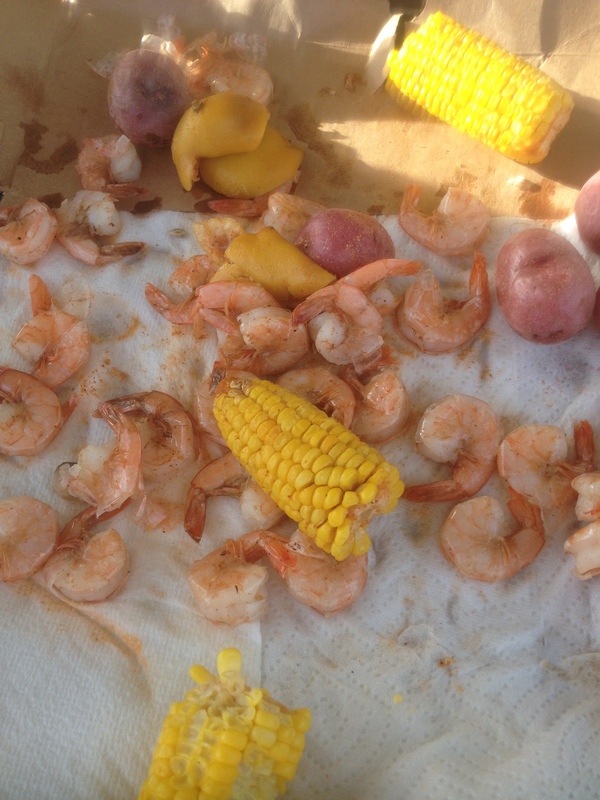 That NO ONE would be able to eat the shrimp boil’s final product! Thankfully, because I called this weeks BEFORE this incident (that Scott would make a batch too hot for the kids to eat), Scott had also made a “mini boil” for the kids. Okay, the “mini boil” was still WAY too hot for normal adults, let alone kids, but that’s what we TRIED to eat. Sadly, Landri didn’t heed our warnings: http://youtu.be/fjZv_tach9c. Ahhh… I’m already looking forward to next year! Previous Post Homemade Granola: not as bad as you think!